I’m a featured author! I’m a featured author! 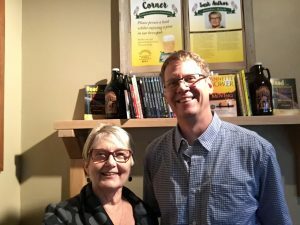 There is interesting news about food, beer and events happening at Bushwakker Brewpub in this newsletter. You can click on the picture above to read the newsletter and subscribe. 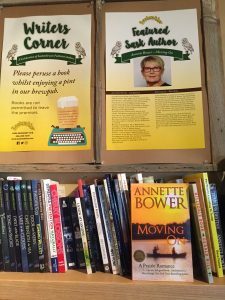 Featured Book at Bushwakker Brewpub Writers Corner. “Our Bushwakker Writers Corner was launched in November 2016. It is a space dedicated to celebrating the recent works of Saskatchewan published authors. What will begin as one shelf will hopefully grow into a large library showcasing our province’s wordsmiths. Pub patrons are encouraged to peruse a copy whilst enjoying a pint. The books in the corner library will be available for patrons interested in reading works by local authors and the books are to remain in the brewpub. in the UK. Woman of Substance, set in Regina and Lumsden, is her first novel. 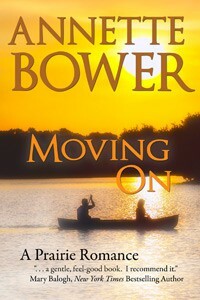 Her second novel, Moving On, is set in Regina Beach, Saskatchewan. Her third novel, Fearless Destiny, is set in Apex, Saskatchewan and is the winner of the Raven Award for Favourite Contemporary Novel. Her novels are published by Soul Mate Publishing, New York. She looks forward to reading to crowds or small groups. Today I took the opportunity to drop into Bushwakker Brewpub and check out my poster on the wall and thank Grant Frew for the opportunity to be the featured author. The poster will be on the wall until the next featured author’s turn. Grant Frew hopes that many more Saskatchewan authors books will line the walls. Woman of Substance, Moving On and Fearless Destiny are there for patrons to peruse. Grant Frew, Bushwakker’s bar manager and the man in charge of the Writers Corner. Ahhh 2018, 100 days to reform habits. This morning while I listened to the radio in bed I scanned my FB page, I read a heartening message.